Thank you for supporting us with a donation. You can donate quickly with a one-time donation, and allocate where you’d like the donation to go. 94 years old and still supporting the people of the Madison area, the Madison Community House is open 365 days a year for over 50,000 people to use for meetings, classes, family gatherings and events. 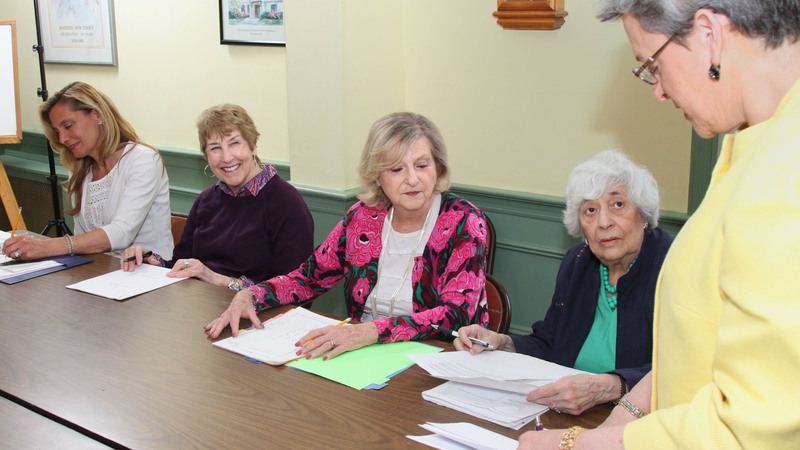 The Thursday Morning Club has owned, operated and maintained this vital community facility since its construction in 1924 and devotes thousands of volunteer hours each year to keeping the Community House available for all in our community. Each year the TMC strives to expand its MCH programs and offerings to the community. To provide these important services, the TMC holds various fundraisers but the time has come to reach out directly to the people of Madison and the surrounding areas for help with financial support for this vital part of Madison life. Therefore, Madison residents will see in their November electric bills an Annual Appeal flyer asking for a donation to support the Thursday Morning Club’s Madison Community House. If you are not a resident of Madison, you may still donate to our Annual Appeal. Your donation is tax deductible; the TMC is a 501 (C) (3) non-profit. Any donation you can make will be most appreciated by the Thursday Morning Club and the people of Madison who will be able to continue to participate in programs at the Madison Community House. If you’re looking to help, we ask that you support us with a donation to our Annual Appeal or any of our other options available. We appreciate your continued support!